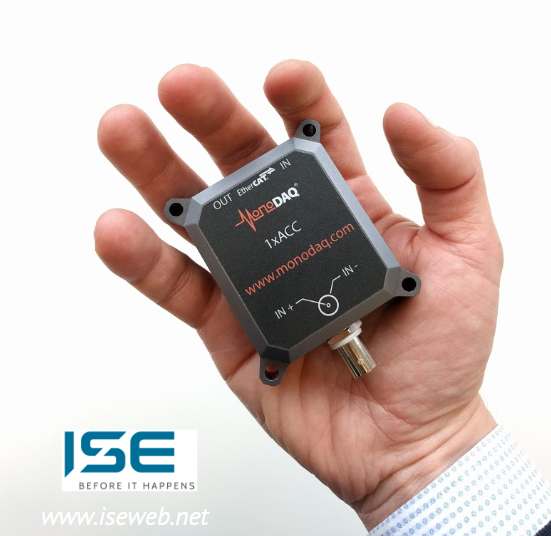 ISE Srl is embedding MonoDAQ-E-ACC and DEWESoft software into its monitoring systems that prevent production downtime due to failures. Learn more: Embedding the MonoDAQ-E-ACC modules into a monitoring system for a paper mill gearbox. Precise acceleration measurement on the housings of the bearings, motors and gearboxes offer a decisive insight into the operation of the rotating parts. It allows the maintenance team to detect wear, leakage, bearing failure or change in stiffness. 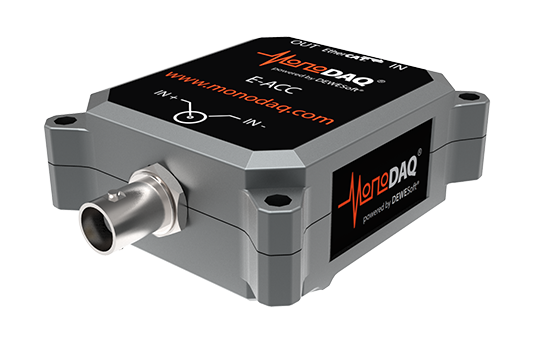 IEPE accelerometers coupled with the MonoDAQ-E-ACC data acquisition modules provide 20 kHz measurement bandwidth (40 kS/s sample rate) per measurement point. The systems can be distributed all over the production hall with only a single network cable connecting them module-to-module, making the cabling extremely simple and inexpensive.The software for data acquisition and analysis auto-recognizes the modules and sensors, which requires no special learning to start recording the data. This way the engineer can focus on studying the data using FFT, order tracking, correlation and other methods of dynamic signal analysis. Condition monitoring is a process of monitoring the condition of machinery while in operation to prevent or predict faults. 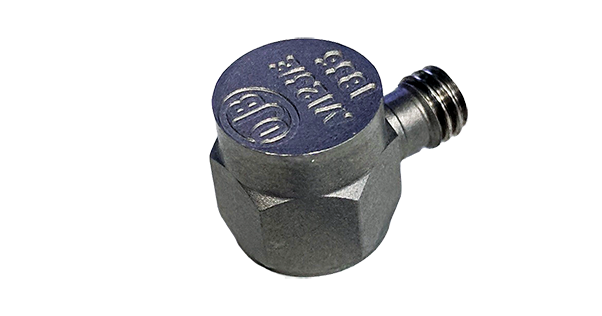 Monitoring is conducted by measuring parameters such as vibration, temperature, pressure and strain. Condition monitoring of rotating machinery (motors, bearings, gearboxes etc.) in production lines is of paramount importance for predictive maintenance process. An unpredicted stoppage of a machine can cost hundreds of thousands dollars due to downtime and component damage. Considering the affordability of today’s state of the art monitoring systems it is irresponsible from the production management not to conduct constant monitoring.